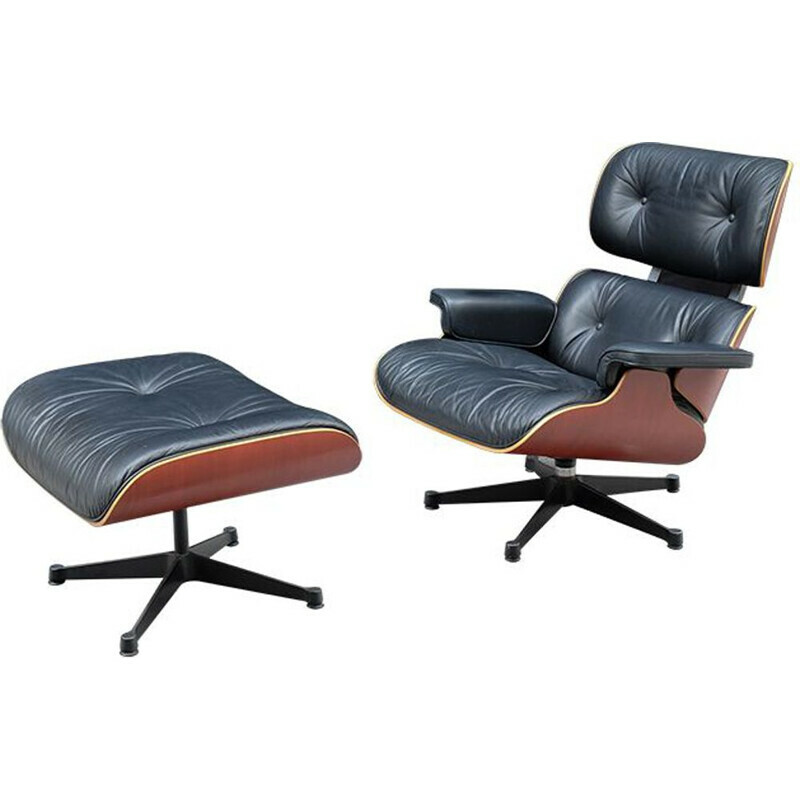 Eames EA108 armchairs designed by Charles and Ray Eames and produced by Vitra. 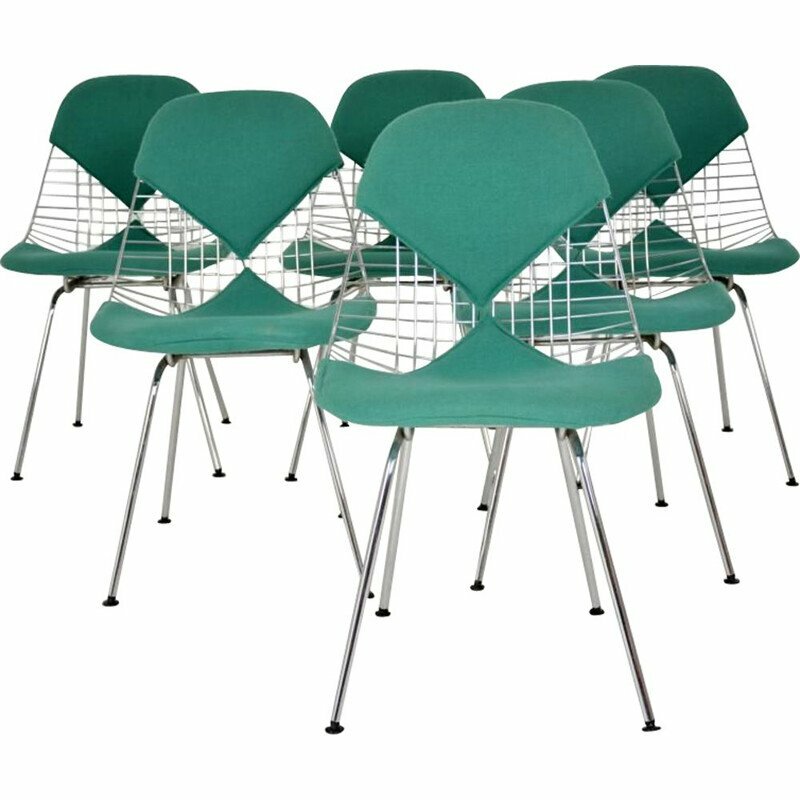 All the armchairs are rotatable. 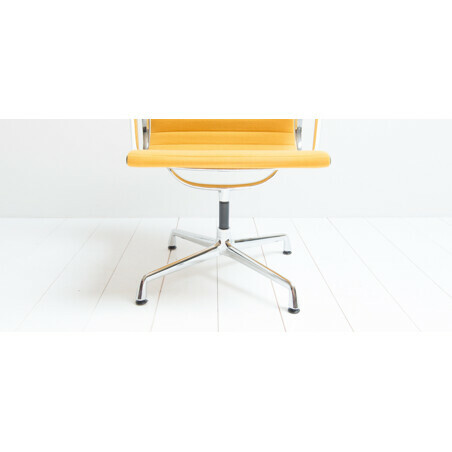 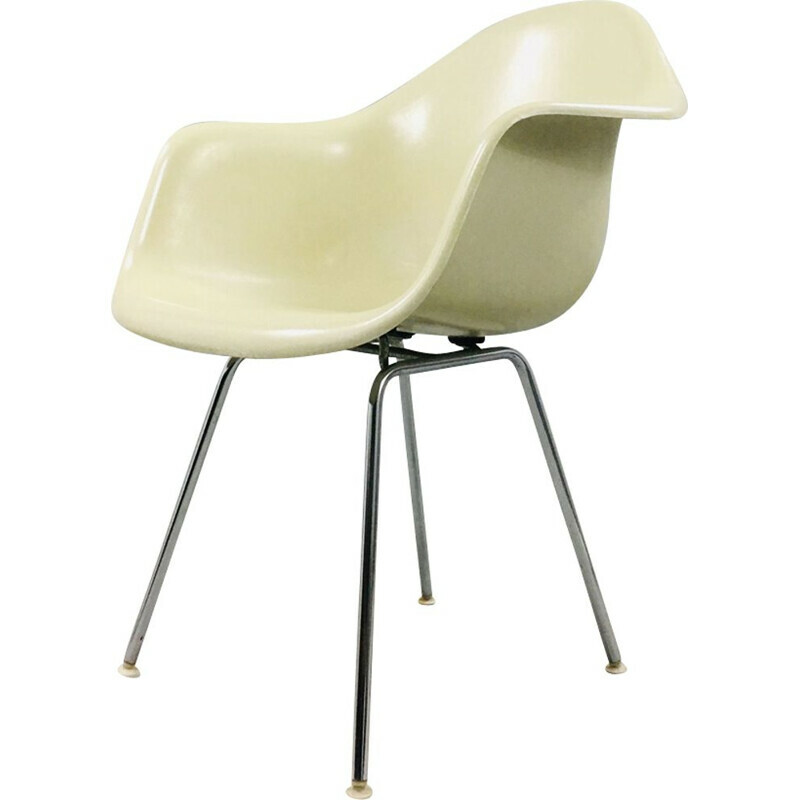 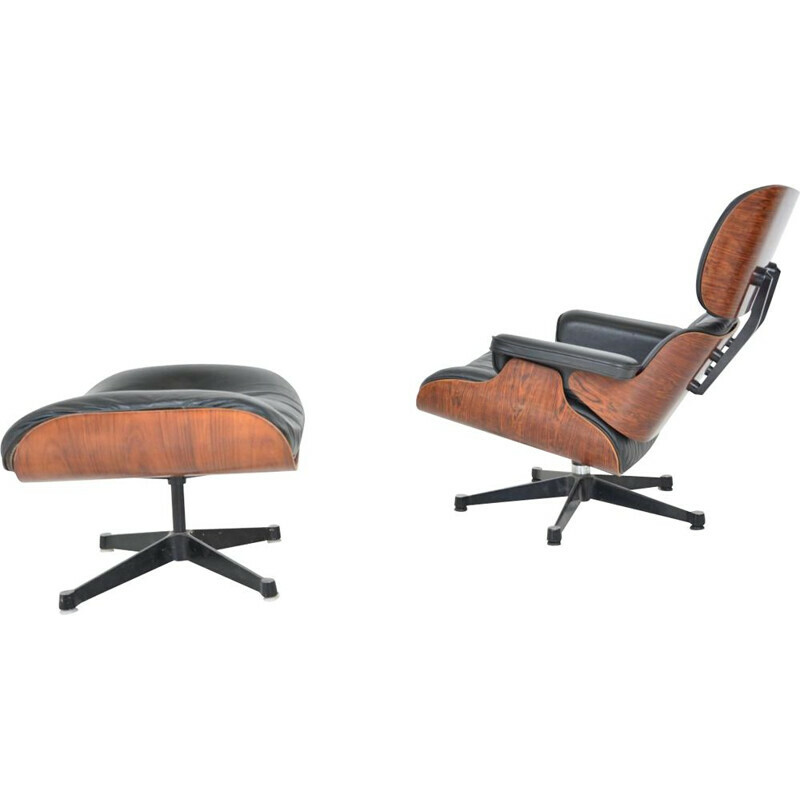 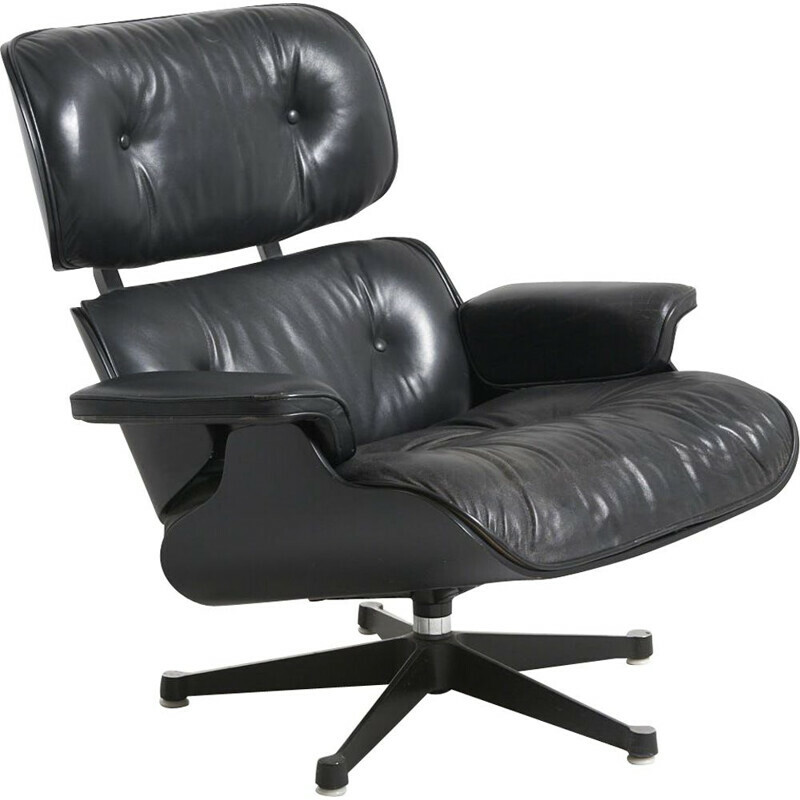 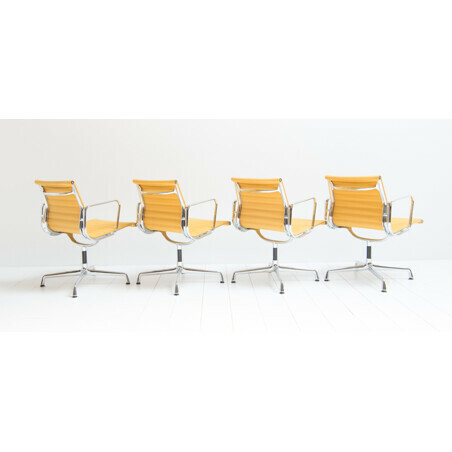 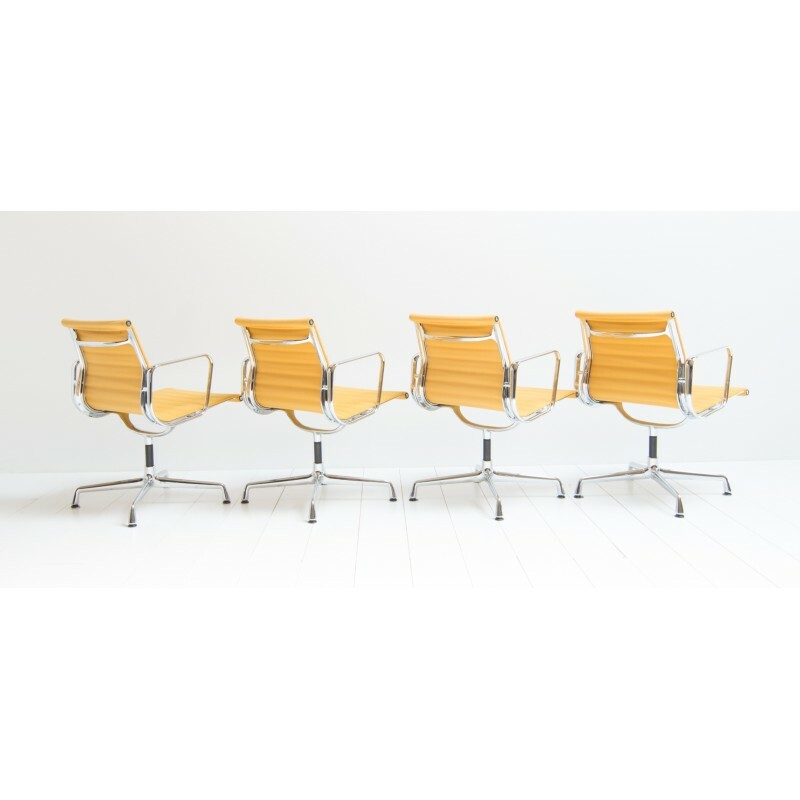 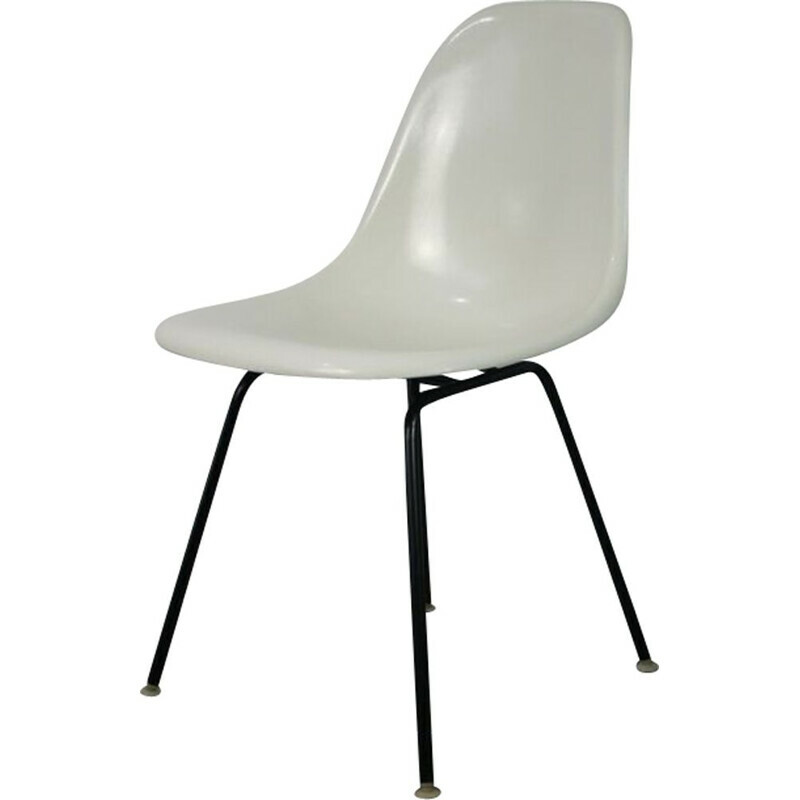 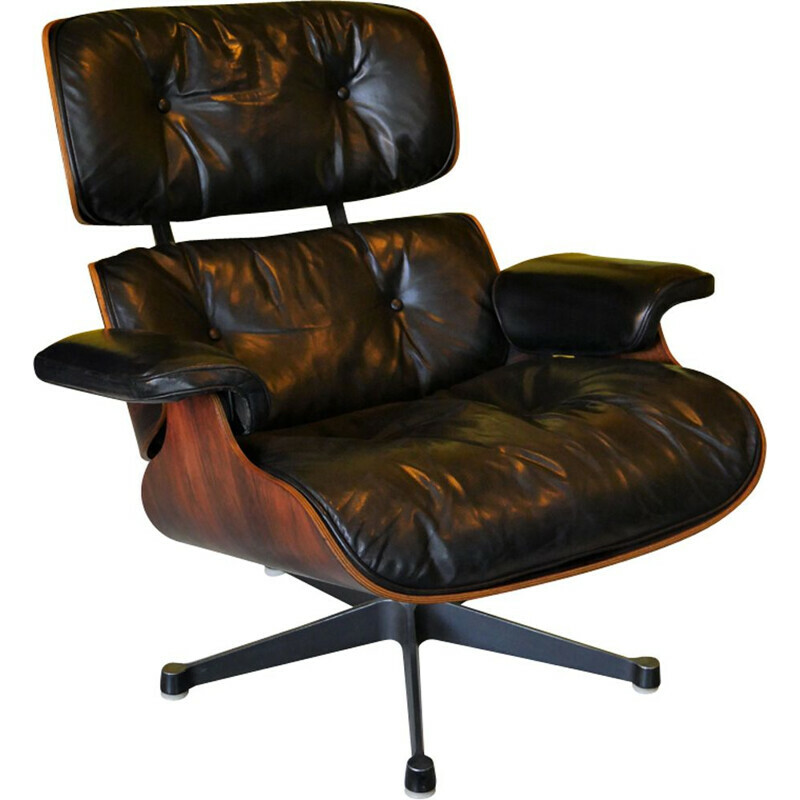 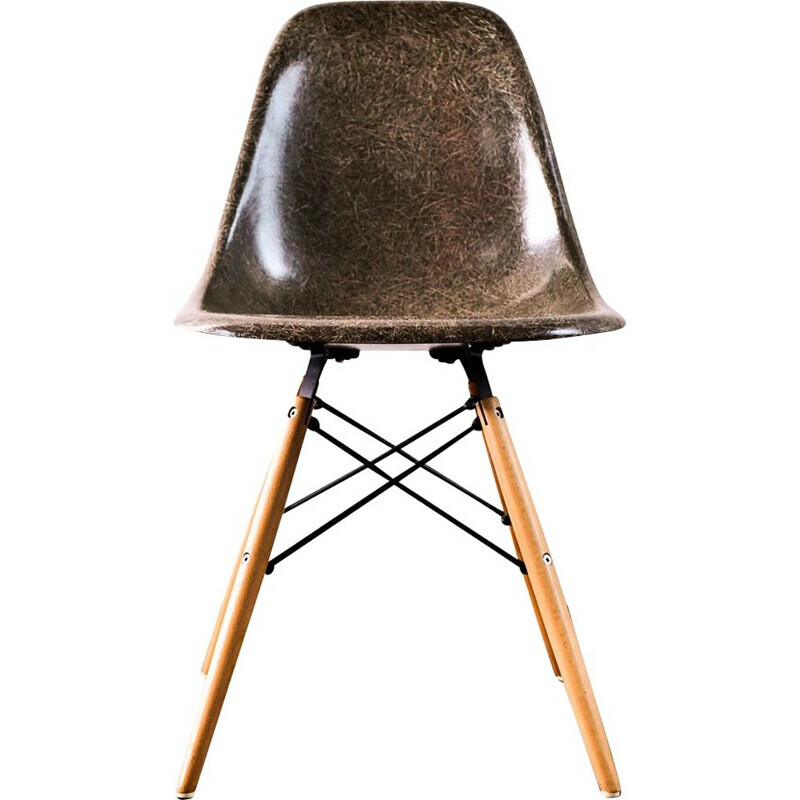 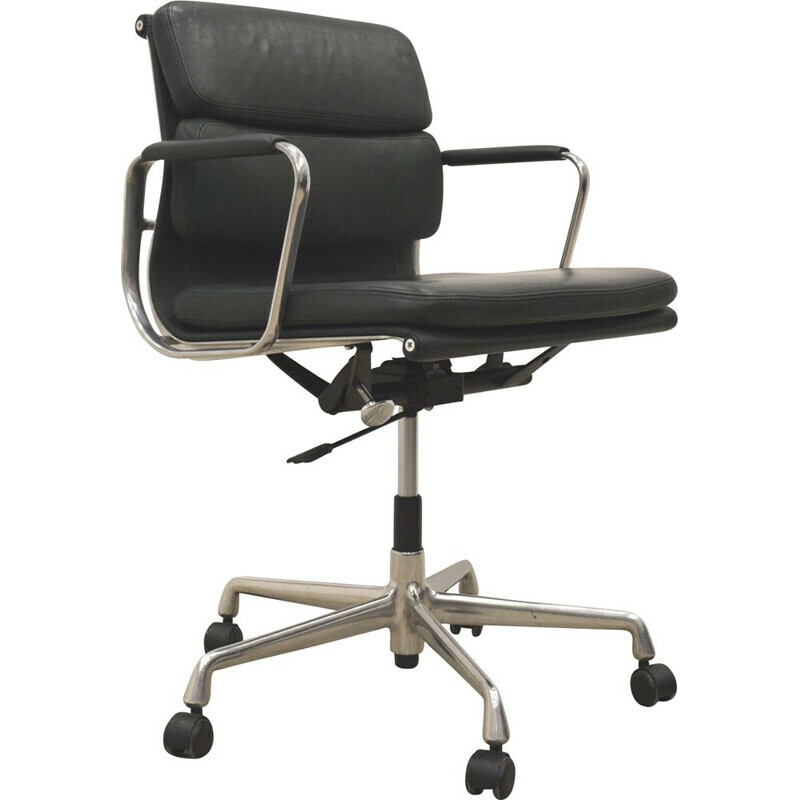 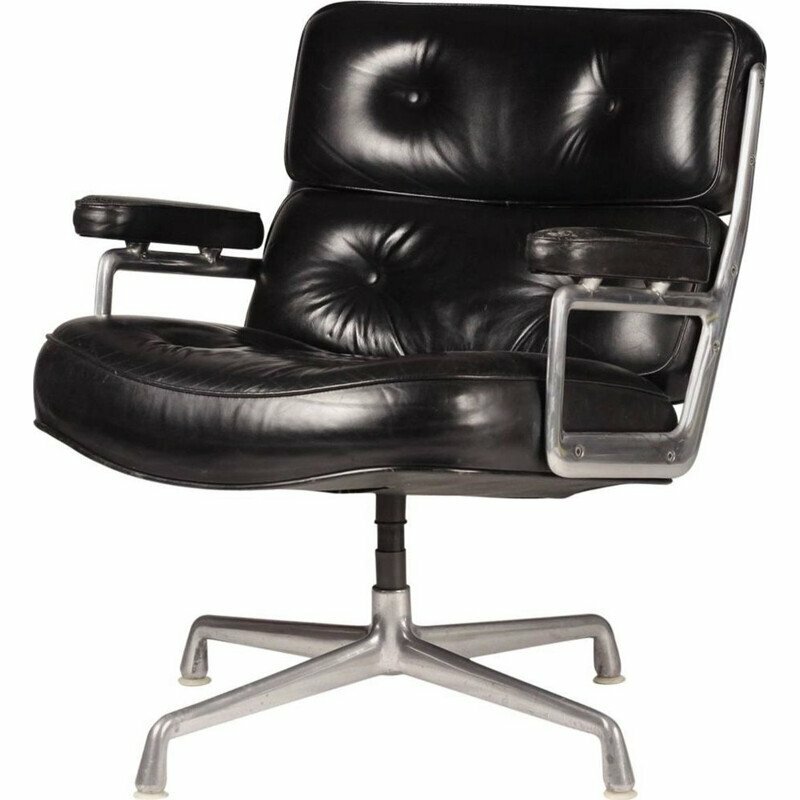 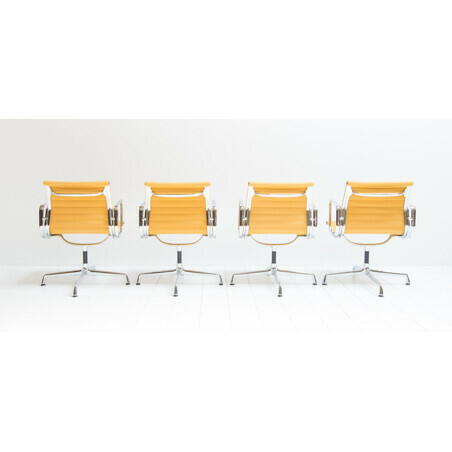 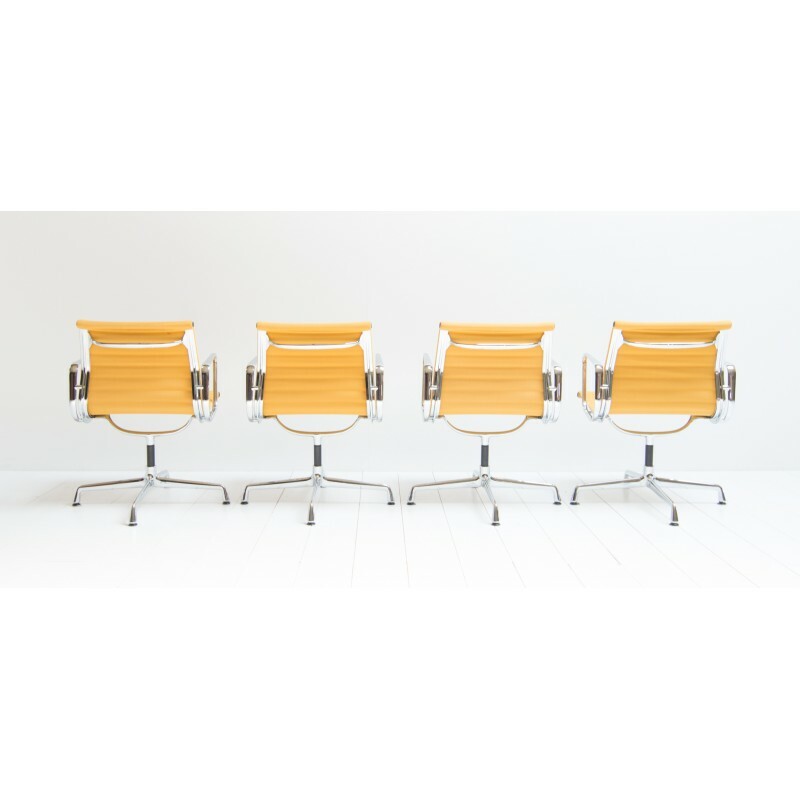 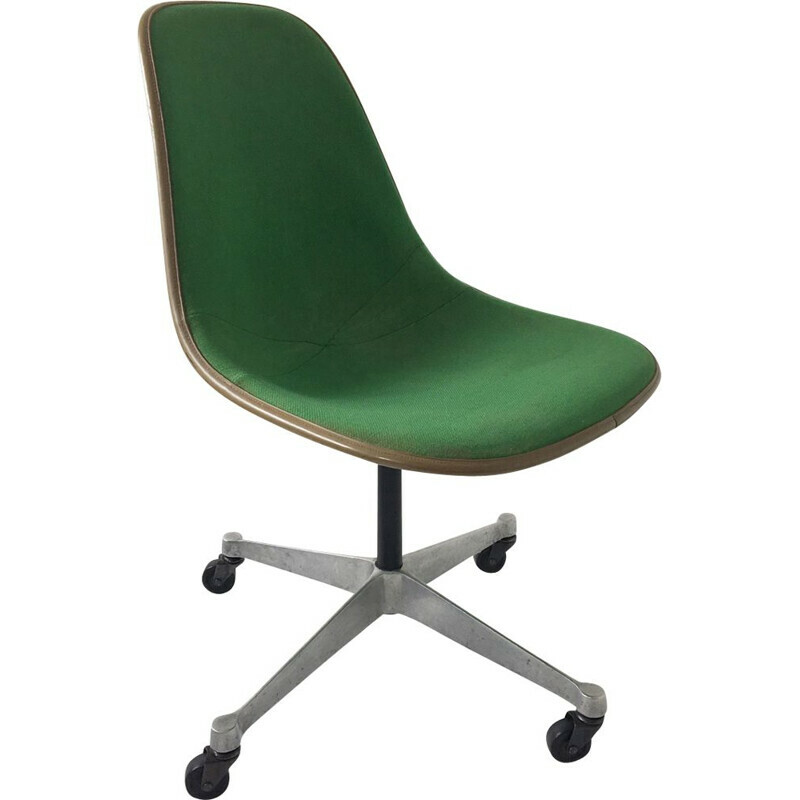 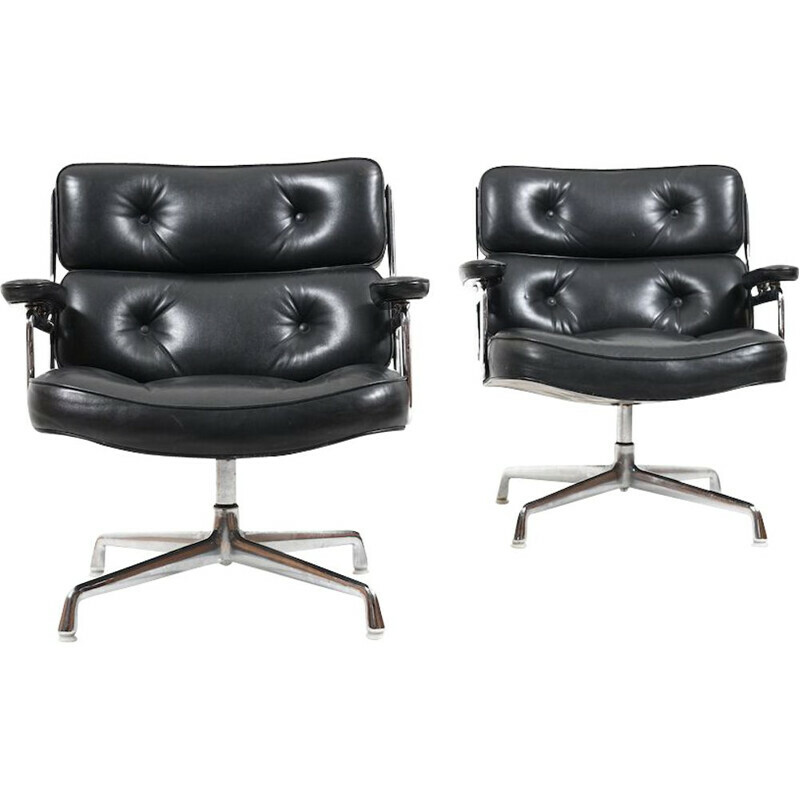 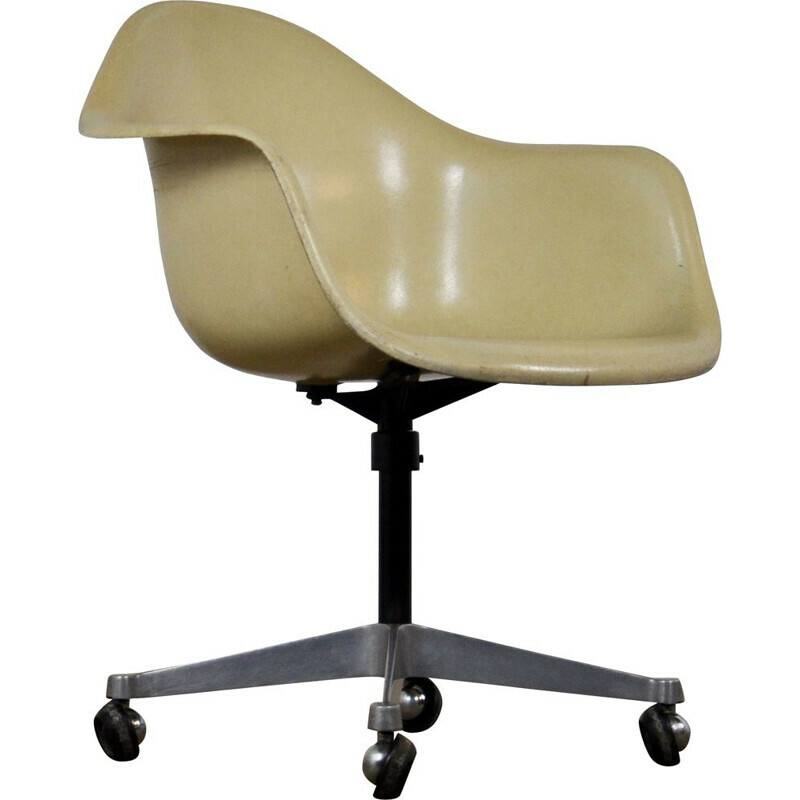 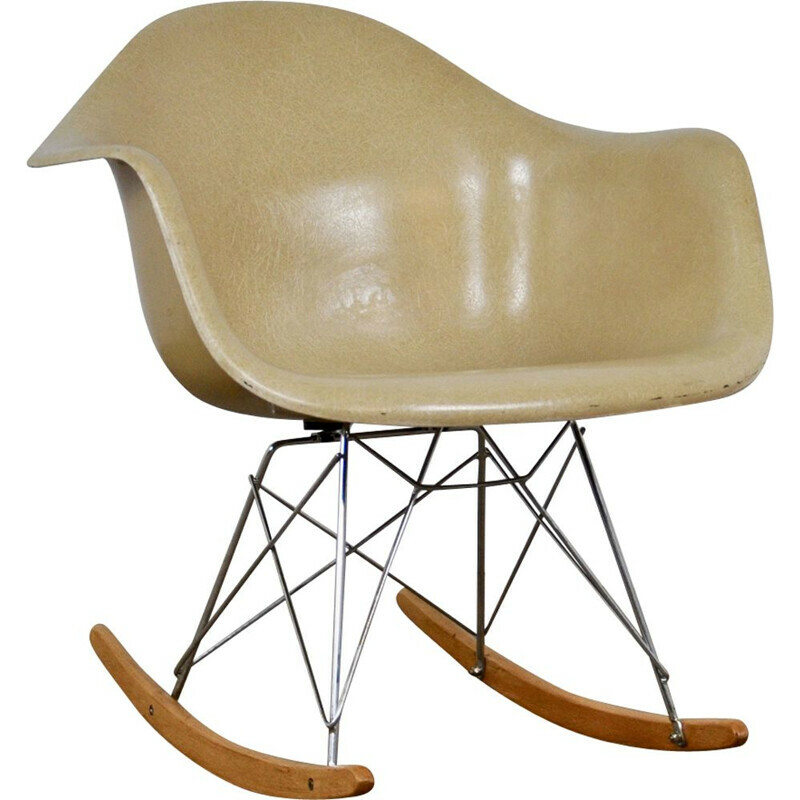 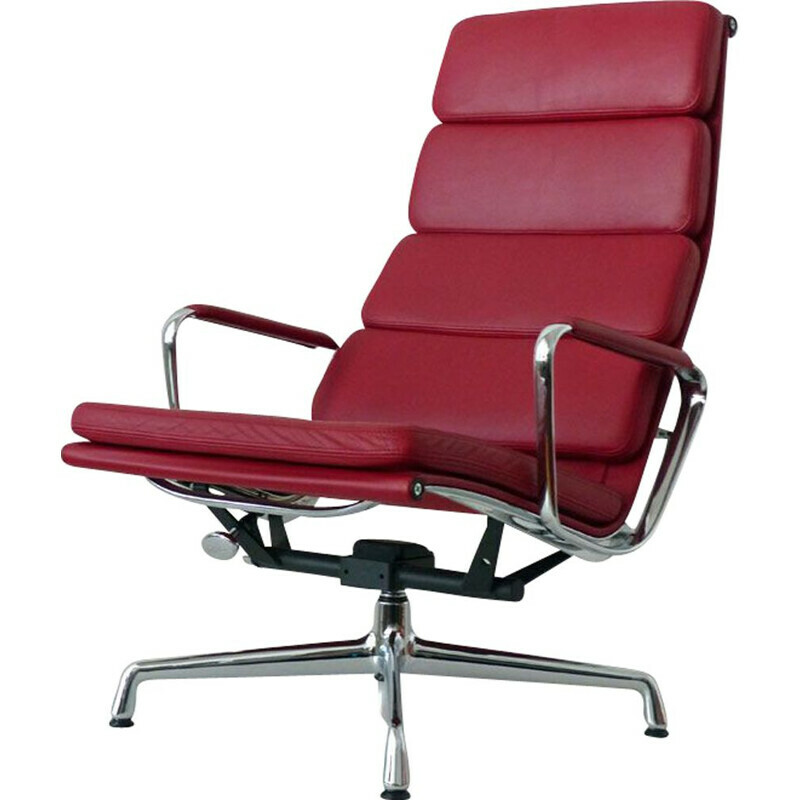 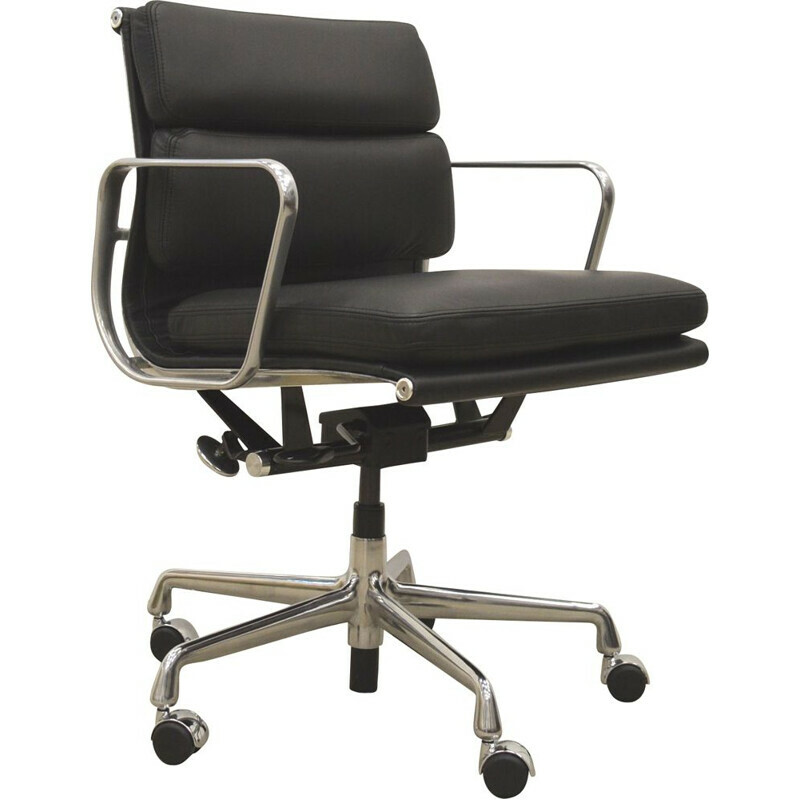 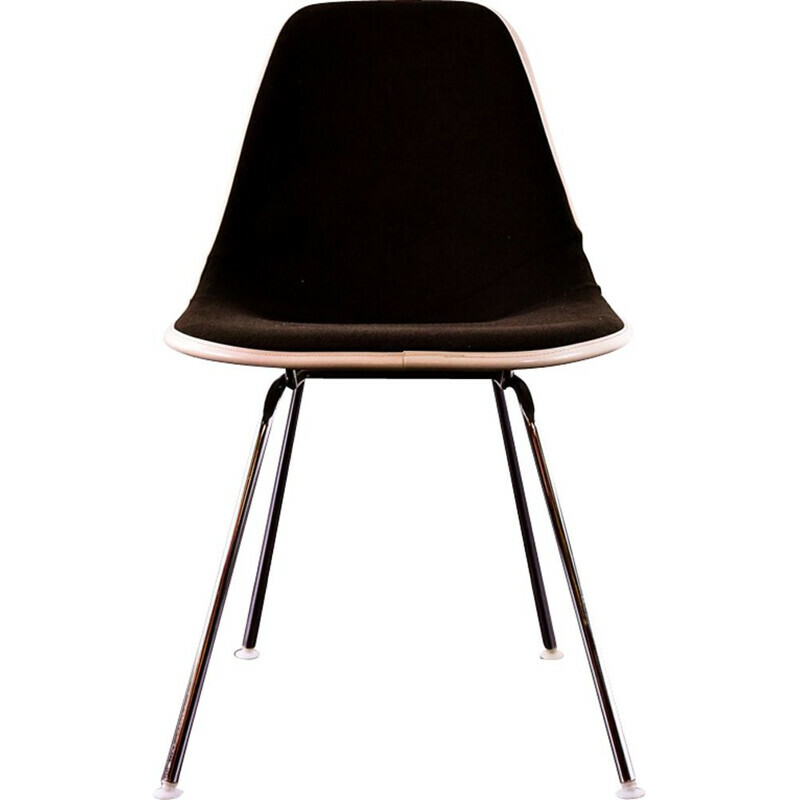 The vintage Eames armchairs are totally original and marked. 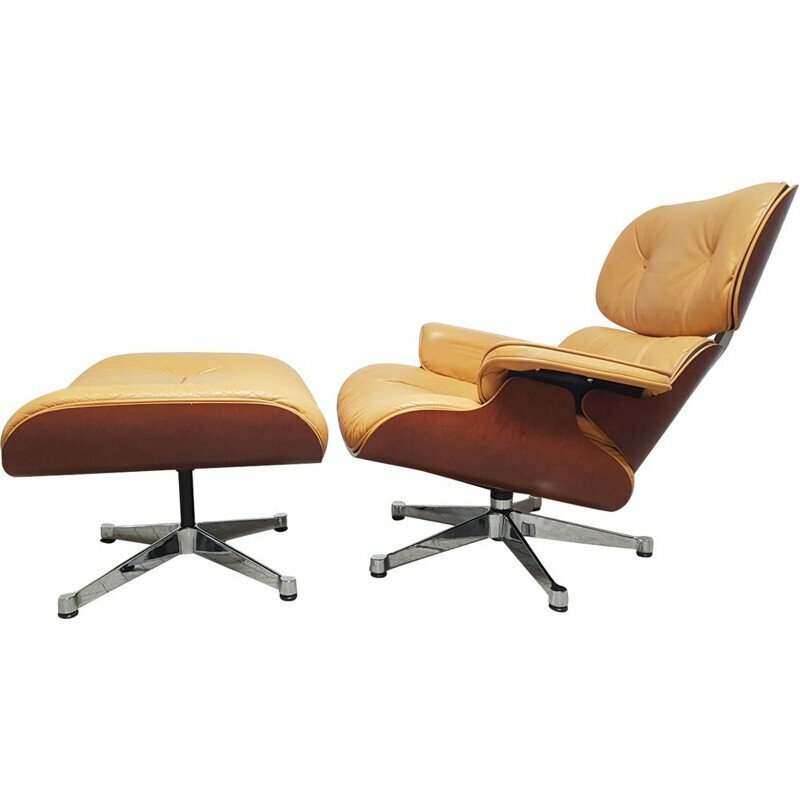 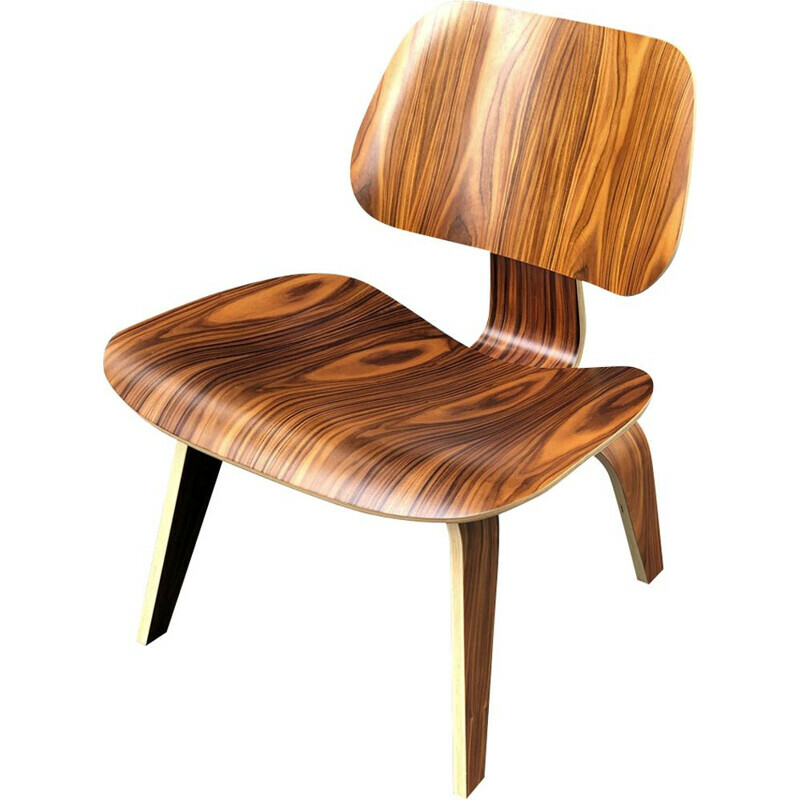 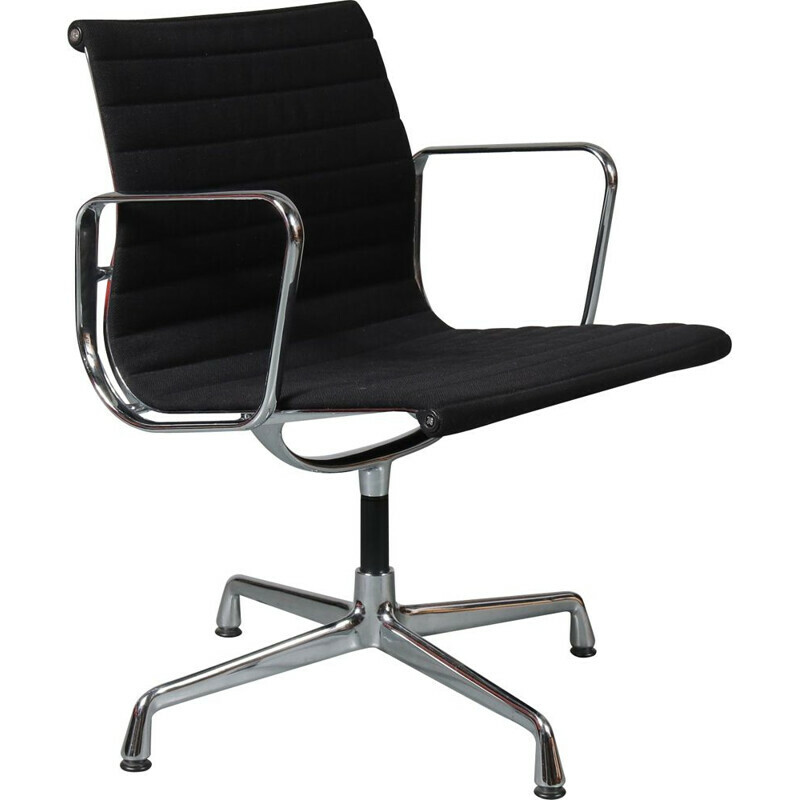 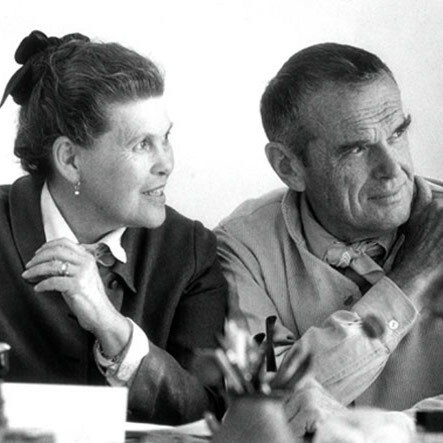 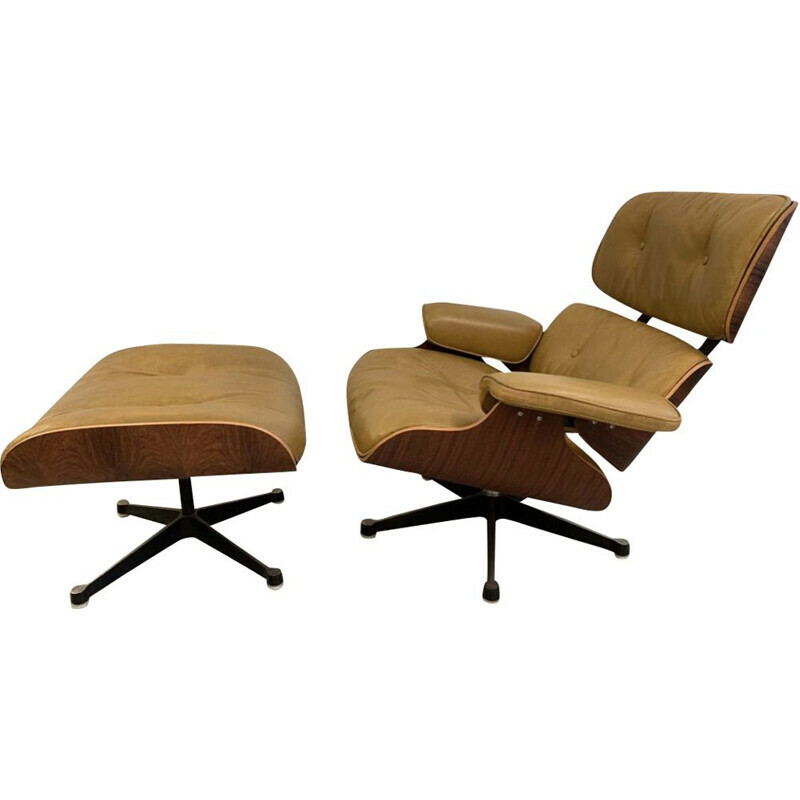 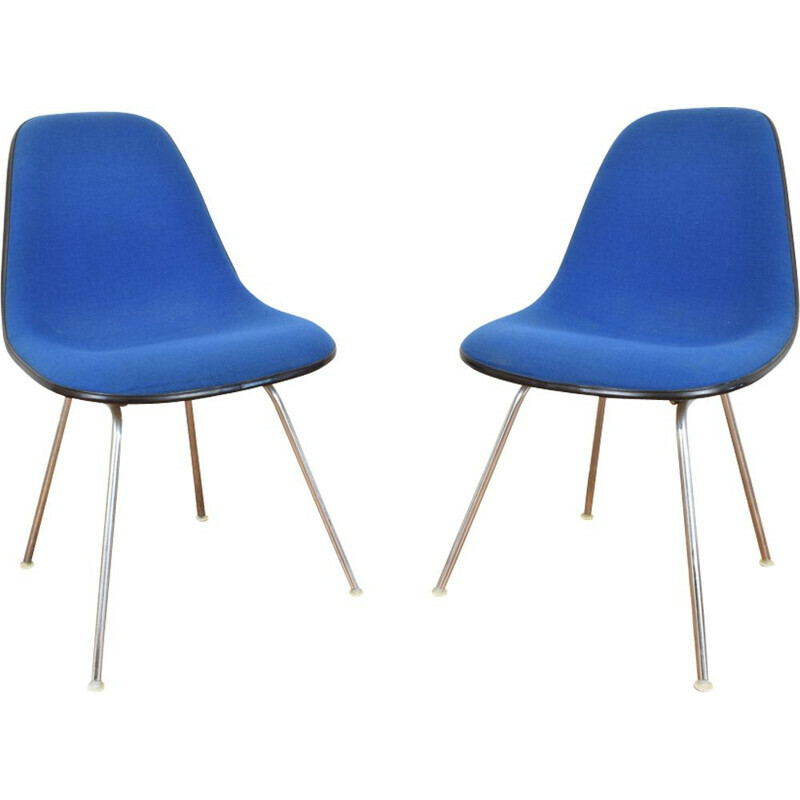 These armchairs designed in 1958 by the world famous designers and artists couple Charles and Ray Eames. 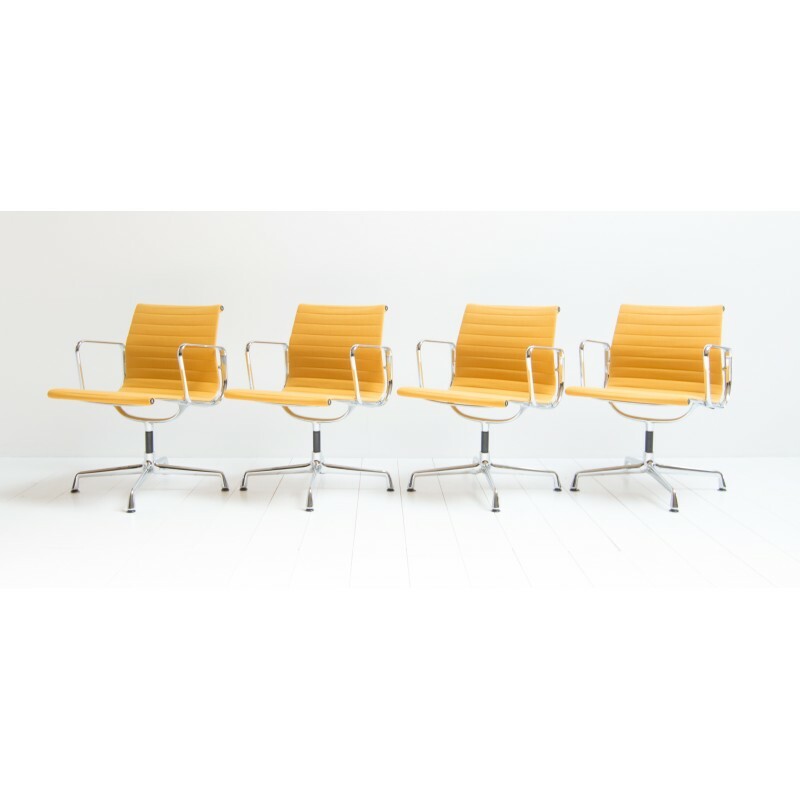 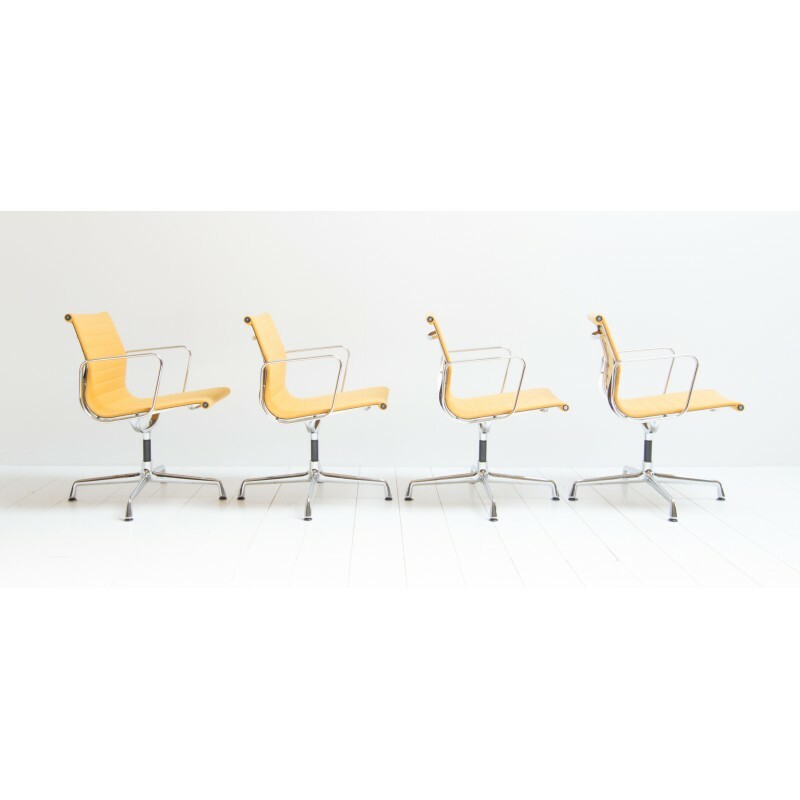 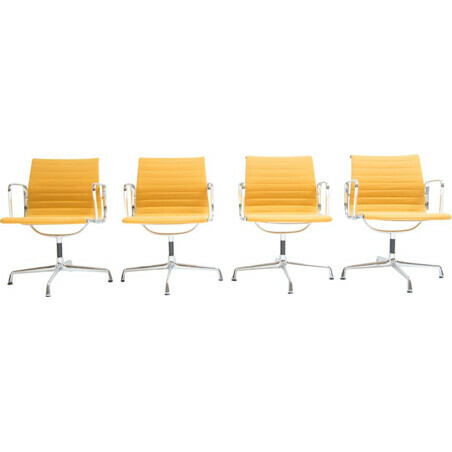 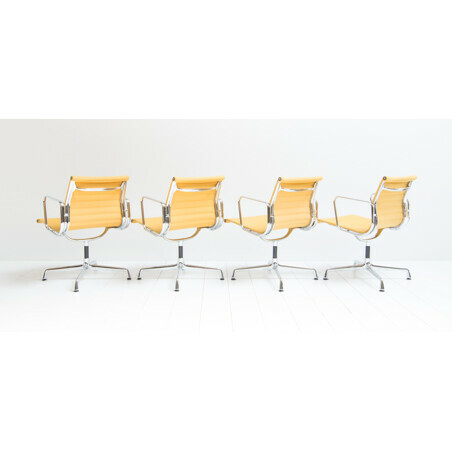 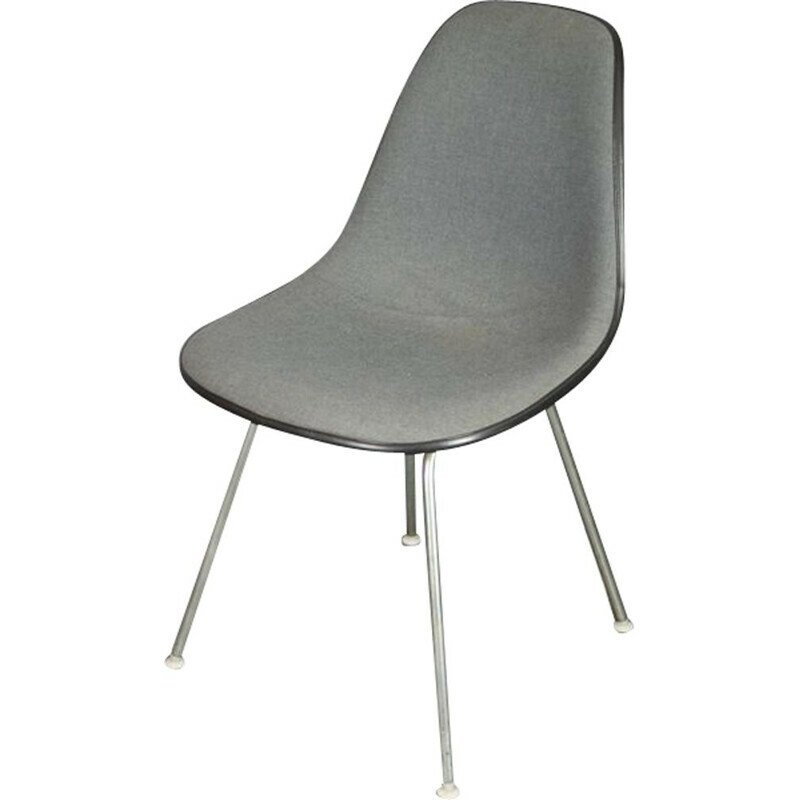 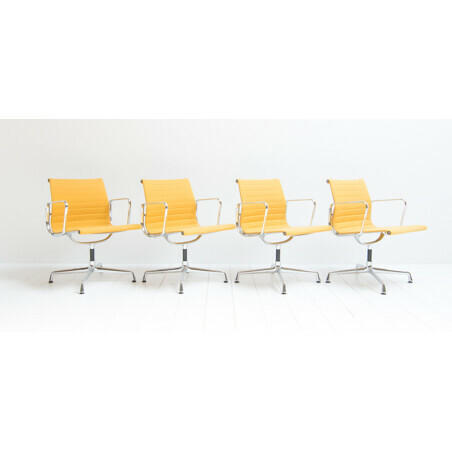 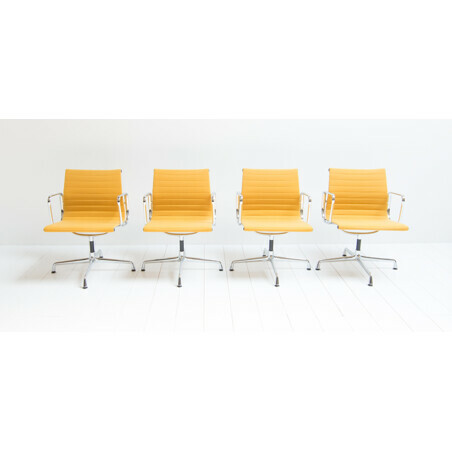 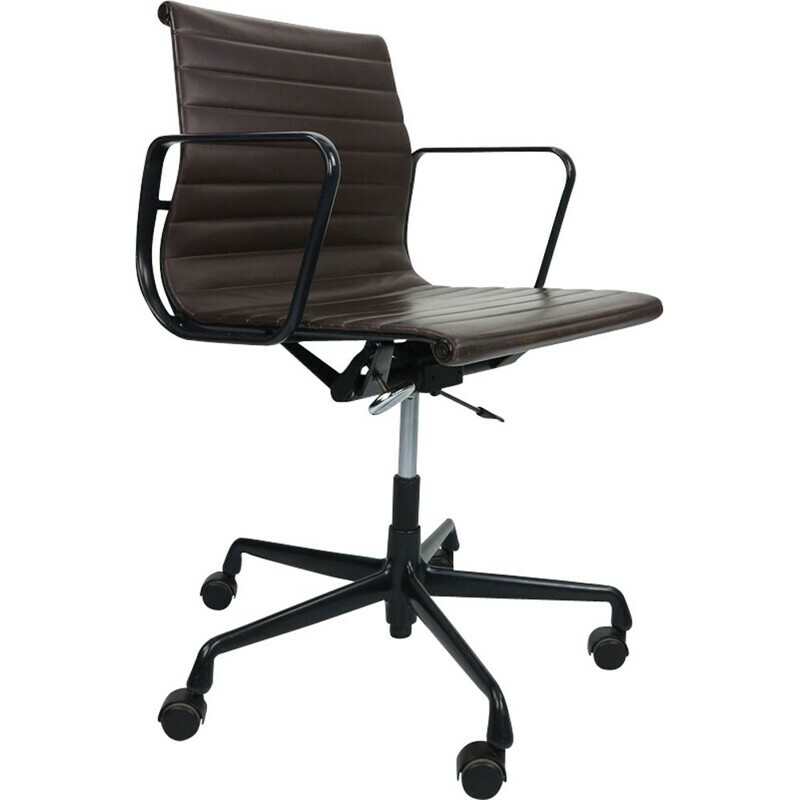 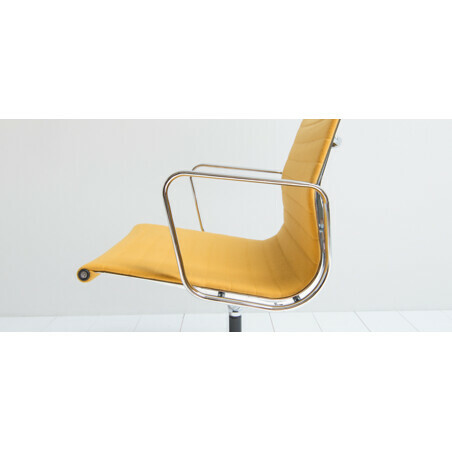 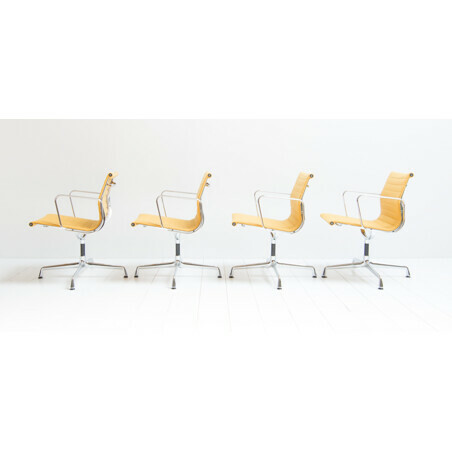 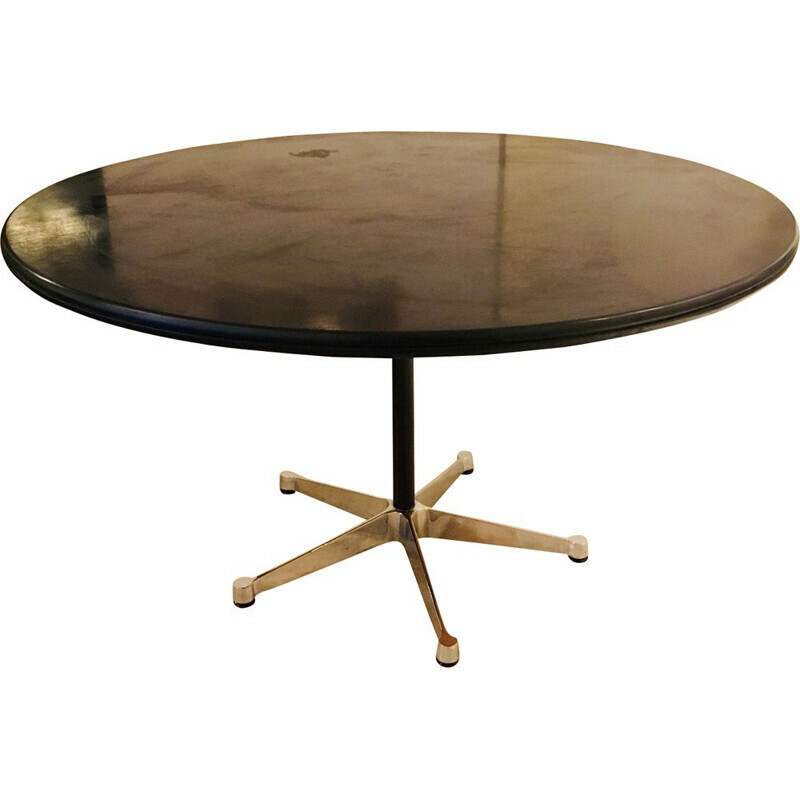 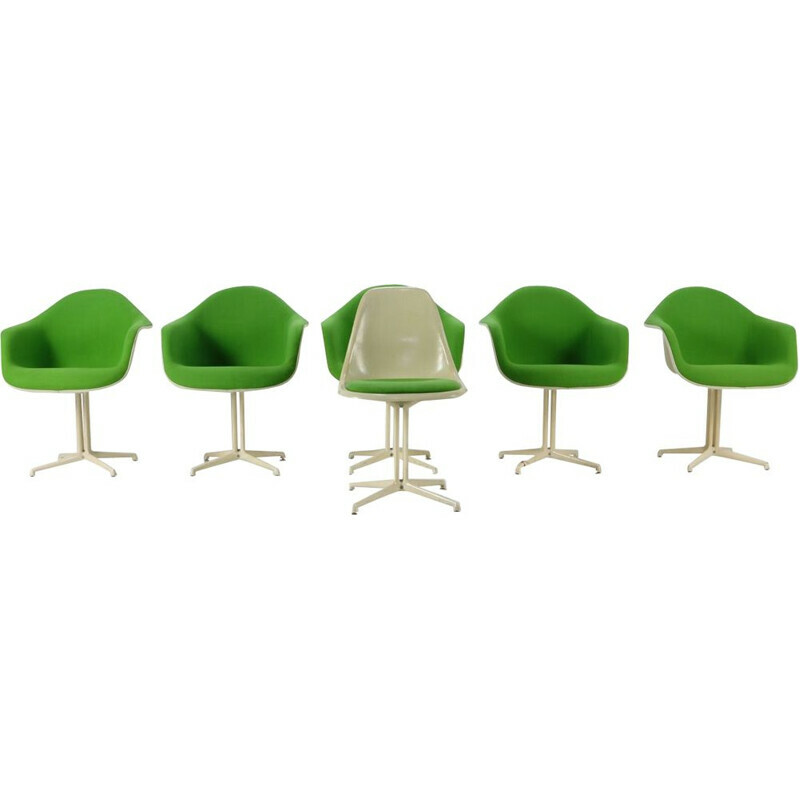 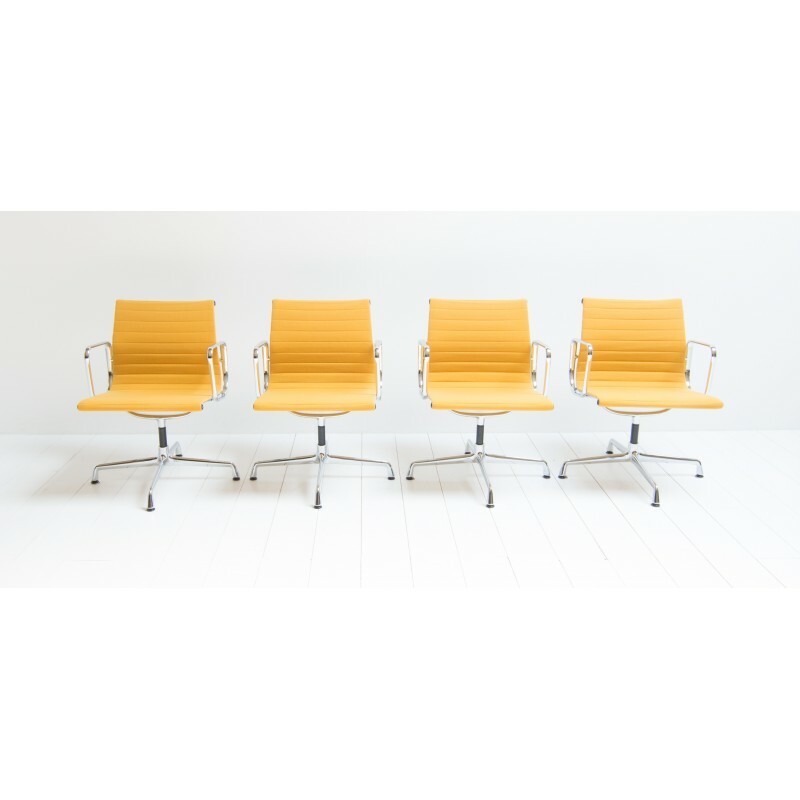 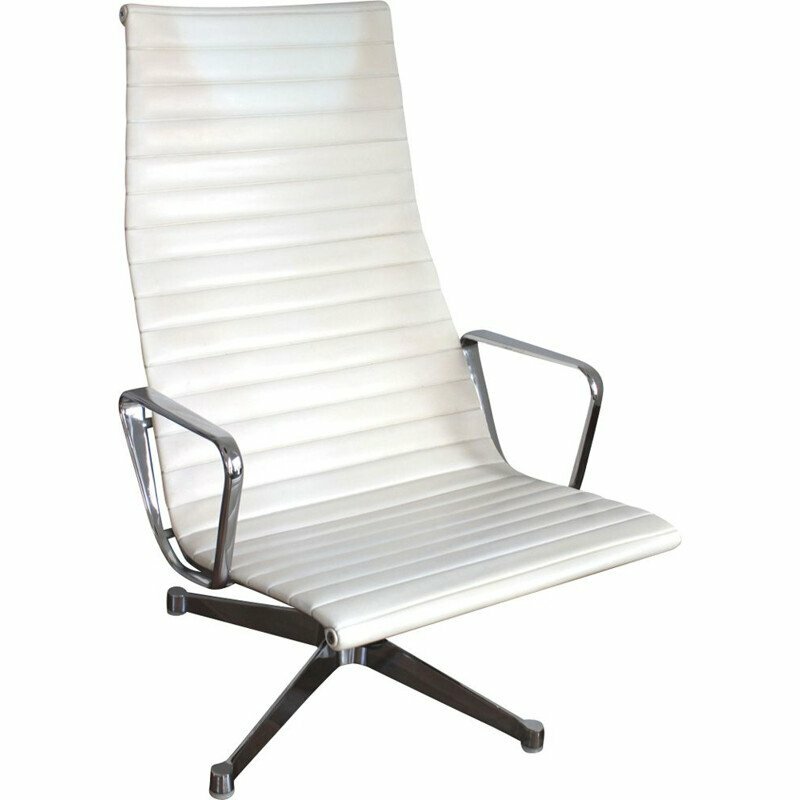 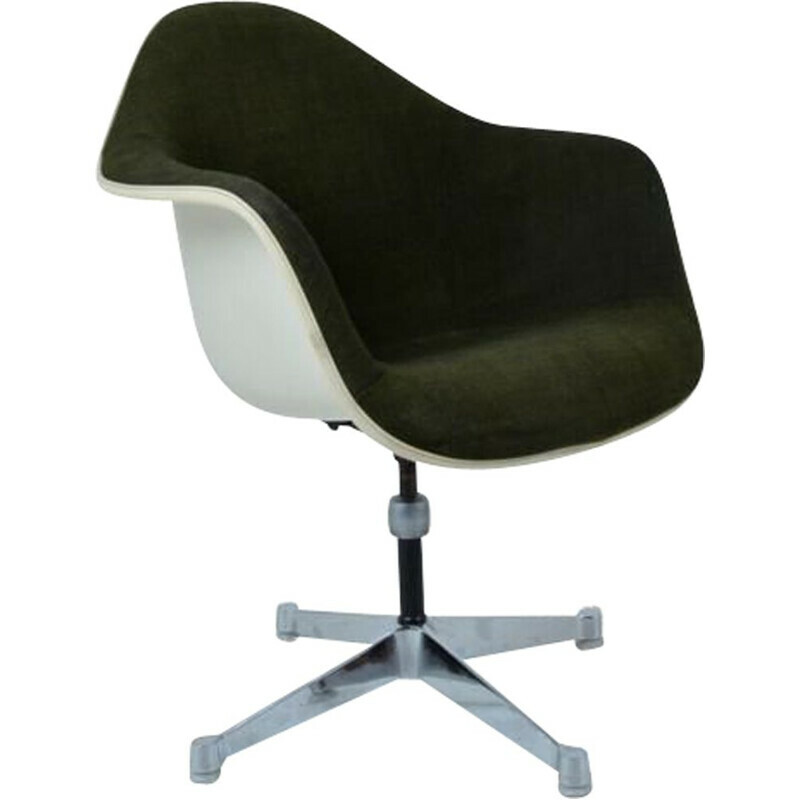 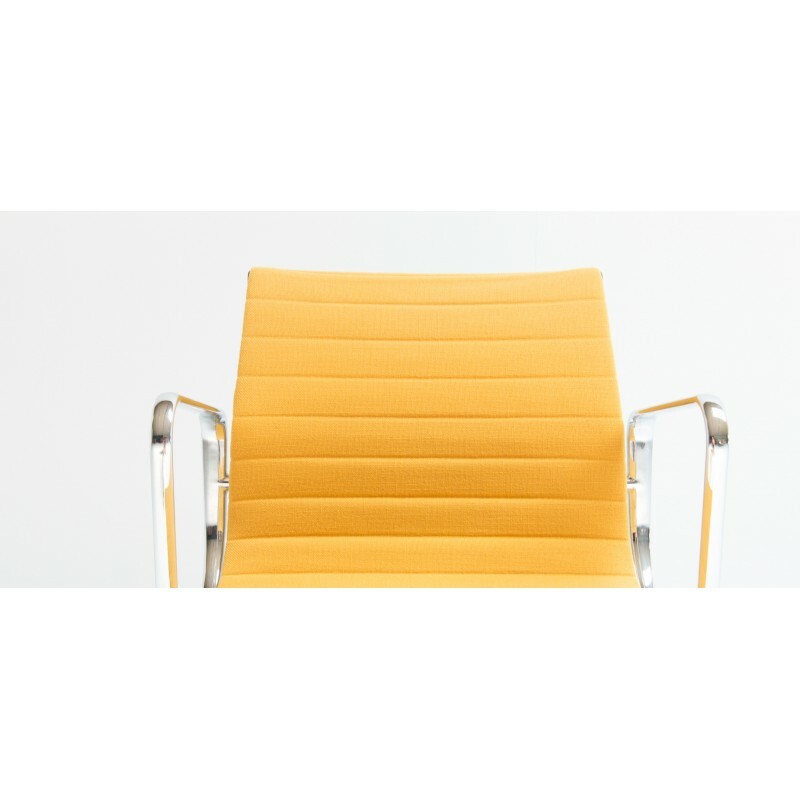 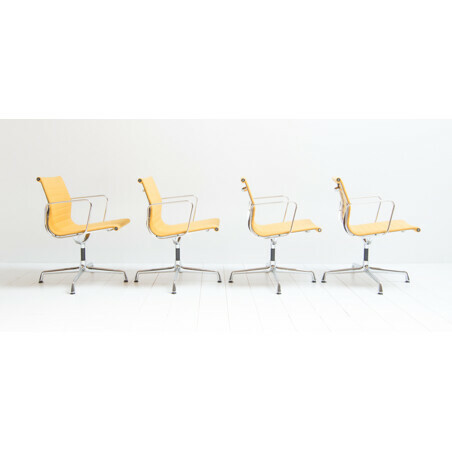 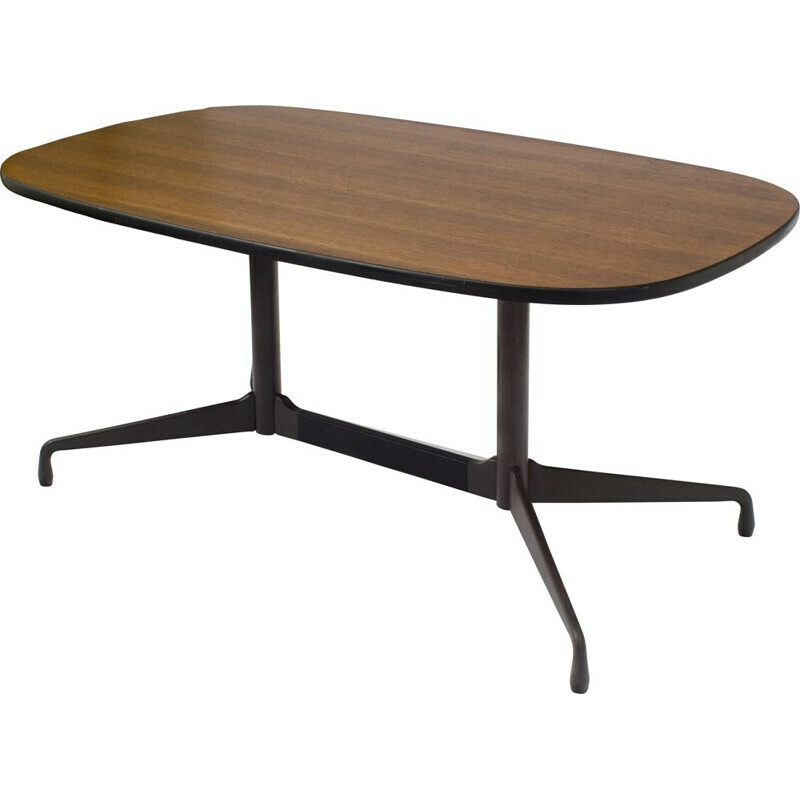 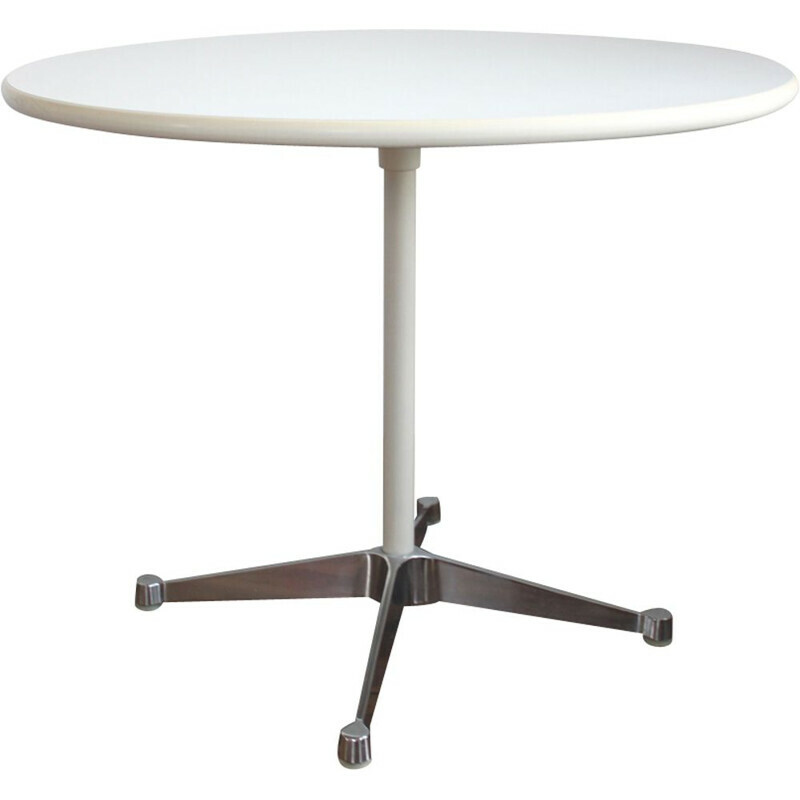 They are made of chromed steel and have a yellow upholstery of the famous brand Kvadrat.